It’s a month of continuing to retrace our steps to uncover any gems of wisdom we may have missed in the shuffle of charging ahead towards our goals since the start of the year. With the Sun in ♌️ Leo for most of this month, there is an underlying desire to become more of who we truly are at our core essence that is sending us all on a journey to discover how we can step into our fuller potential and embrace more of the possibilities that will allow us to live our brightest, boldest, and best lives and to shine on an even greater level in our careers. The New Moon Solar Eclipse in Leo on August 11th will be the final eclipse of the year, signaling a resolution being made after all of these retrogrades have sent us on an adventure to reclaim who we are and become clearer on how we truly want to express our creative will out into the world. This has not been an easy process and August continues to make things a bit confusing for us as Uranus Retrograde begins on August 7th, making it more difficult to make big sweeping changes for the next several months, and Mercury & Mars Retrograde continue into the end of this month until the 18th and 27th, respectively, forcing us to go back to the drawing board and revisit our future plans to make sure they are as strong and built to fit our best interests as possible. Finally, we begin to close out this month with a 🌕 Full Moon in Pisces on the 26th, a moment when any last emotions we have been stuffing down inside can rise up to the surface to be seen and cleared so we can work towards our newly shined dreams with a greater belief in our ability to attract what we most want to envision happening for ourselves and manifest it into being. This month is all about returning to your creative projects and your creative process. You have probably had tons of ideas for things you’ve been wanting to create this year, but with the Sun in Leo until the 22nd and Mercury Retrograde happening in your Fun & Creativity Zone, you’ve needed to sort through all of these to determine which ideas are really going to be the most worth your while and capable of sustaining the creative spark that will keep your inner muse fed and inspired in the long run. The New Moon Solar Eclipse on the 11th is your call to declare to the Universe what you really want to create and put your love into next with a renewed sense of clarity and a determination to go even bigger & bolder than ever before. Meanwhile, the rare Mars Retrograde continues to move backward through your Community Outreach sector which is forcing you to pause and get clear on who the people are that you really want to help, who you’re most able to help, and why. It may not be the best time for a new marketing campaign but instead for tapping back into your existing network to ask those already quite lovely people what they need so you can look for opportunities to reconnect and make the most of the circle you’ve already pulled together rather than focusing on adding a new round of followers, clients, or customers to the mix. Finally, the end of this month brings a big purge for you as the Full Moon in Pisces lights up your house of Spiritual Pursuits and triggers a deep emotional renewal process. This is an important time to pay attention to the thoughts, fears, and limiting beliefs that hold you back from doing the big, important work you’re really here to do in the world – and that will actually be the most emotionally fulfilling in the end even if it’s challenging for you to step it up and get the ball rolling. Don’t be afraid to take some time out to get vulnerable with yourself and identify your true concerns so you can open your mind to find solutions to move past them. August brings you an opportunity to dive more deeply into your home roots and pay more attention to your personal life as well as what you can do to strengthen your family bonds and make daily life more comfortable. With the Sun in Leo and Mercury in retrograde in this same sign, there is also a sense of needing to revisit your long-term plans for the future. Do you know where you want to be in a year from now? How about three, five, or ten? With your Home, Family & Long-term Security all lit up on the New Moon Solar Eclipse in Leo on the 11th, it will be the ideal time to get clear on the foundations you want to create for your future. Don’t be afraid to aim high because this lunation will be especially powerful for manifesting! Meanwhile, Mars is in retrograde and slowing things down in your Career Zone for most of the month, and to top it off, Uranus will now be moving backward through your sign where it may have already started to get you inspired to do things in a new and unique way, but now the ability to follow through on those plans may begin to fade away until Uranus goes direct and re-enters your sign again next March. Once it does, it will be there for the next 7 years, so you’ll have plenty of opportunities to shake up the status quo when it comes to how you take control of your life and how you portray yourself to others through your work when it returns (whether you are truly ready for it or not…). As August begins to fade out, a Full Moon in Pisces will be illuminating your Community Outreach sector. This is a wonderful time to throw a party and bring together your greatest friends or supporters or even to launch a new offering that will allow you to help those you are here to serve on a greater level than ever before. However, if you’ve been shrinking away from connecting with your community or embracing a more like-minded friend circle for a while, this Full Moon will bring to the surface any fears or worries that have been making you want to hide away instead of sharing the special skills and expertise that could have the power to make a real difference in others’ lives. If you can claim responsibility for what has been holding you back, this can be a soothing moon for helping you get back out into the world to make your mark! As the Sun makes its way through your Social Networking sector for most of this month and clashes with Mercury Retrograde moving in the opposite direction in this same area, this is a good month to reinvent your message and reflect on how you’ve been sharing yourself and your work on social media. Whether that means sprucing up your newsletter, your social media posting strategy, or getting clearer on what you want to say or share in order to reach your goals, the New Moon Solar Eclipse in Leo on the 11th will be ideal for setting your new and improved mission into motion with a refreshed & recharged message that feels even more authentic for where you want to take your work next. Meanwhile, Mars continues its rare retrograde through your zone of Education, Exploration, and Self-Discovery until late in the month, making it difficult to progress and expand into new uncharted territory in your life & career. However, this is a good time for going back over things you have already learned and discovered in order to deepen into your existing knowledge or go back to places you’ve already visited for another look. Before this month comes to an end, a Full Moon in Pisces will be soaring high above your Career Zone, allowing you to bring the latest chapter of your career efforts to a culmination point and welcome in the manifestation of work goals first set 6 months back. However, the spotlight can be so bright it can also reveal some blemishes in your plans which can help you see how things may be in need of a change so you can go on to make an even bigger and more meaningful impact in the future. This month is all about figuring out what you really want and why. As the Sun moves through Leo highlighting your zone of Values, Desires & Goal Setting, Mercury Retrograde will also be moving through this area making things especially confusing. This can totally throw you off track if you allow yourself to get too caught up with all of the worries in your mind, so if you’ve somehow lost sight of what you’re really working for, the New Moon Solar Eclipse in Leo will be a powerful time to at least decide how you want to feel. At this time, aim to make a big wish because the intentions you set on this New Moon can trigger an avalanche of abundance to come your way in the next 6 months or less! At the same time, there is another slowdown happening on the other side of the zodiac wheel in your zone of Business & Finance as Mars continues its retrograde through this area until the end of the month. Money matters may not seem to be moving as quickly as you may have hoped, so there could be a need to revisit your budget and find ways to clean up the weak spots in your existing financial management strategies. This may all seem frustrating in the moment, but in the end, both Mercury & Mars Retrograde’s effects will leave you with a much stronger set of goals and a solid plan to get you there. Toward the end of the month, a Full Moon will be rising in Pisces and your Education, Exploration & Self-Discovery sector. Perhaps you will manifest a new adventure or the chance to learn more about something you find deeply fascinating. This Full Moon may also bring out your wanderlust and a sense of wanting to escape from your everyday life. Being that Pisces is also a water sign, just be careful that you aren’t trying to run away from your emotions. You’ve got to feel to heal, and by releasing any pent-up feelings by facing them head on, you’ll leave yourself feeling lighter and more able to invite in more of the magic that is waiting for you to discover on this Full Moon. Woo, it’s Leo Season! As the Sun moves through your sign, joined by the topsy-turvy behavior of Mercury Retrograde, you may be feeling a fresh surge of energy to go out into the world and reinvent yourself in a whole new way. However, it can be hard to settle on what the best way will actually be to express yourself among the sea of options, so it’s likely this month will be spent doing a lot of experimentation with different ideas until you settle on the person you are not and embrace who you really are. The New Moon Solar Eclipse in your sign on the 11th will be an amazing time for you to plant a seed for the future you that you’d like to allow to come through over the next 6 months or less. On the other side of the zodiac wheel, Mars continues moving backward in the sky through your Relationship zone, helping you find ways to reignite the passion in your personal partnerships or even find better ways to support others around you through your work. The old ways of doing things may not seem to be working quite as well during this time, as Mars calls on you to go back and deal with issues you may have thought you were already past, but are now needing another look. As we reach the end of the month, the Full Moon in Pisces will be bringing a spotlight to your Business & Finance sector. This will not only be a wonderful time to reach a culmination point from all of the work you’ve been doing to boost your bottom line over the past 6 months but also to notice where your money making and management strategy is still needing a bit of work. By the end of this month, you should have a renewed sense of how awesome you really are and what you need to do to attract more of the blessings you truly deserve. This may feel like an especially weird month for you where you may feel like you are being caught in a bit of a limbo between who you used to be and who you are now becoming. The Sun and Mercury Retrograde are bringing a buzz to your zone of Spirituality & Mystical Pursuits, making this an amazing time for self-reflection, facing fears, remembering old memories, and reuniting with your hopes & dreams for the future, but this might all feel a bit fuzzy and honestly quite destabilizing to have so many deep thoughts floating around in your mind at once. The New Moon Solar Eclipse on the 11th will be your call to set an intention to find a way to take what you’ve been ruminating over and use it to step towards a more meaningful direction that is in greater alignment with your soul instead of simply going through the motions without a mission. At the same time, Mars is in retrograde in your zone of Daily Work & Wellness, so those daily step-by-step tasks you are normally so good at getting done may be getting lost in the shuffle. If you’ve been procrastinating, please understand it’s okay and a lot of people are feeling this way, not just you, Virgo. However, you are more likely to beat up on yourself about the lack of progress and the slower pace. As a sign who typically likes to have a solid plan, the Universe is now teaching you to give up a bit of control and see where things naturally flow. Toward the end of the month, a Full Moon will fly high above your opposite sign, Pisces, and your zone of Relationships & 1-on-1 work. If you are in a relationship, this will be a good time to celebrate the what is good between you and your partner, while also paying attention to where there may be a lack of give-and-take that needs to be remedied. If you’re flying solo, you may think about how you would like to call in some support whether that is in the form of a healer or some type of assistant, or maybe you are ready to reimagine the ways you offer your support to others. 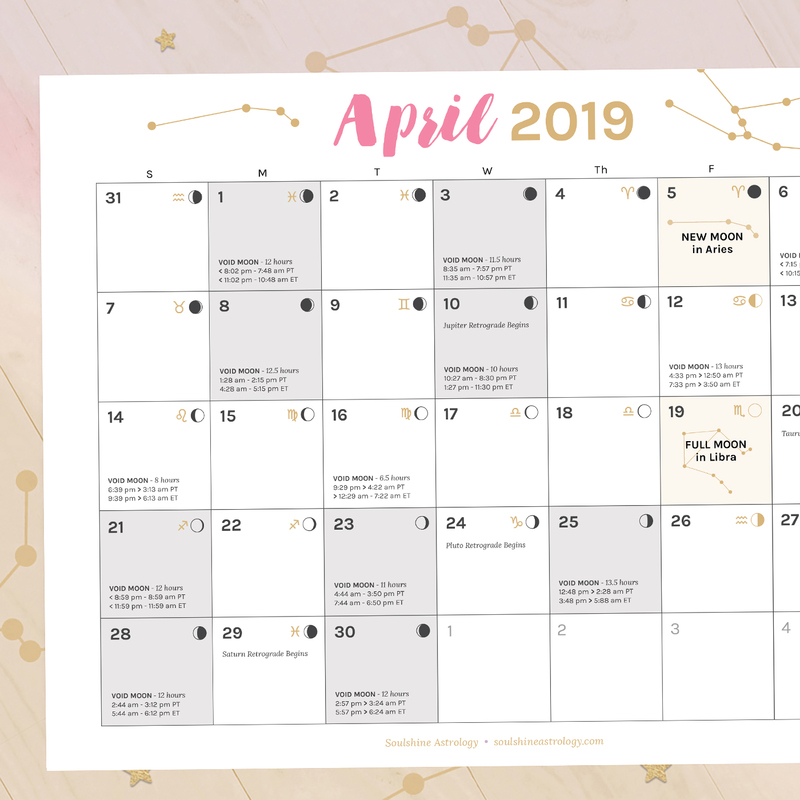 This month is all about your community, Libra! The Sun and Mercury Retrograde are both moving through your Community & Friendship sector for most of this month – one, of course, going straight ahead and the other asking you to backtrack and make sure you’re not missing any opportunities to dive deeper with the clients or customers who are already on board and craving what you have to give. Although this is not a great time for a big new campaign to expand your reach, the New Moon Solar Eclipse in Leo on the 11th will be a wonderful time to envision the ways you can revolutionize the work you are already doing to help make the world a better place for those around you which, incidentally, may actually end up attracting more people to you naturally. If you’ve been feeling like you’ve been bitten by the procrastination bug, you’re not alone. Mars Retrograde is continuing to stuff things up and slow things down in your Fun & Creativity zone until late August which may make you feel like your current creative projects are only moving along at a snail’s pace. 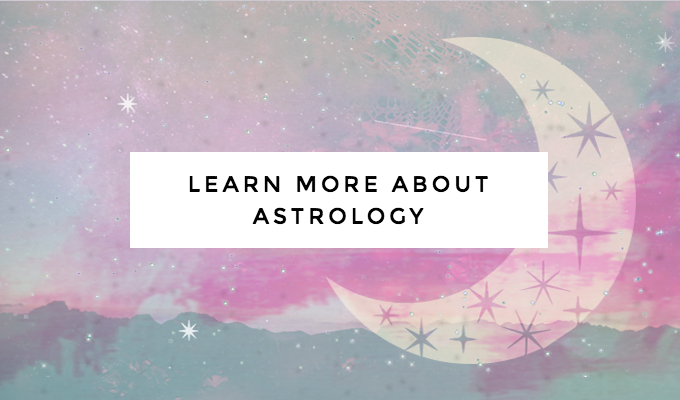 Still, every retrograde period has its upside, and for you, this may mean that you end up discovering a whole new way of working that gets you even more fired up instead of settling for anything less. By the end of the month, a Full Moon in Pisces will rise up in your Daily Work & Wellness sector, showing you where you may be in need of more organized habits or routines to keep your work, life, and body in a more lovely feeling balance. Any systems that are no longer working for you will become especially clear so you can be sure to cover your bases and give yourself the practical support you truly need to do your best work in the future. This is one of the best times of the year for you to focus on rising through the ranks in your career as the Sun makes its way through your zone of Career & Higher Calling, also joined by the infamous Mercury Retrograde. While things may not be chugging along exactly the way you may have first imagined due to such crazy astrological energy happening as of late, you really must keep in mind that any detours in your plans may ultimately be in your best interests. There’s a way that you can make an even bigger and more meaningful difference in the world through your work, and the New Moon Solar Eclipse in Leo on the 11th is the ideal time to wish for the best possible outcome while bravely believing in your heart that you can make it happen and that it can be done. On the other side of the zodiac wheel, Mars is also in retrograde in your 4th house of Home, Family & Long-term Security for most of this month. If there are things you’ve been wanting to do around your home, with your family, or a plan you’ve been hoping to make progress on to make your personal life more comfortable and secure, it may feel like it’s going rather slow. When Mars is in retrograde, it’s training us to tune into our intuition rather than our intellect. A lot of this month is about trusting that, if you go with the flow, it will end up leading you right where you need to go without needing to be 100% in control. A creative project may be coming full circle by the end of the month as a Full Moon in fellow water sign Pisces rises up in your Fun & Creativity sector on the 26th. Celebrate! This brings the culmination of all of the hard work you’ve been putting in to bring your original ideas out into the world and make them real. You may come to notice where you still have work to do, too, but don’t let that deter you from patting yourself on the back for all you have been able to achieve since the New Moon in Pisces last March. Feeling your craving for wanderlust acting up more than usual? For most of this month, the Sun is zooming through your zone of Education, Exploration & Self-Discovery, making the everyday grind seem a whole lot less inspiring than planning for your next big adventure. However, all is not as it seems. With Mercury Retrograde crossing wires in this same area, it’s not a good idea to jump all in on new travel plans or even going back to school or buying an expensive course until you’ve had a few more weeks to fully think it through. Details may not be your forte, and during this time, it’s even harder to identify what will end up being the smartest option in the long run. Trust me, you’ll thank yourself later! The New Moon Solar Eclipse in Leo on the 11th will be a great time to make a bucket list of all of the things you still want to learn, see and experience, and then you can start planning the best way to make it happen at a smarter, slower and steadier pace. Meanwhile, action planet Mars is also finishing up its rare retrograde until the 27th in your Social Networking sector. While this can add to your procrastination levels, you might also feel like networking opportunities are not moving along as quickly or smoothly as initially intended. Although this may be hard for your restless sign, Mars Retrograde only comes around once every 2 years, and there is a benefit of going with the flow and keeping yourself busy with your other passions at least while you wait for Mars to pick up speed again even if it is hard to see why in the moment. At the end of the month, there will be a Full Moon in Pisces in your zone of Home, Family & Long-term Security. If you’ve been trying to manifest a new home, dealing with family or financial security issues, or trying to figure out where you’d like to see yourself end up in the future in regards to your personal life, this lunation can bring a lot more clarity to the situation to help you make a solid plan that finally feels good. How are those numbers adding up there, Capricorn? This month is all about money – namely how you’re earning it, managing it, and strategizing to make more of it. As the Sun and Mercury Retrograde both move in opposing directions through your Business & Finance sector, it’s a good month to triple check that you truly understand how much is coming in and going out as well as reflect on ways you can finetune your budget, and ideally, figure out how to bring in more money with less stress, time, and hard work (because just because you can doesn’t mean you should!). The New Moon Solar Eclipse in Leo on the 11th will bring the perfect moment to set your sights on a new money milestone to aim for and to envision what it would look or feel like to manifest it into being. 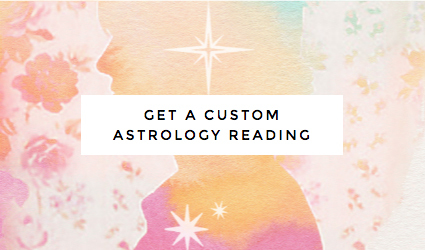 At the same time, Mars is also in retrograde in your zone of Values, Desires & Goal Setting which can present you with a lack of motivation to get going towards the things you really want – even if you really do want them! Still, this is a good time to check back in with yourself to make sure that you are truly aiming for the right things in the right way. Is it a certain amount of money you want to make or would you rather have more time off to pursue your personal projects outside of work? Take your time to weigh the pro’s and con’s so that when this retrograde period ends on the 27th, you’ll be ready to get going full speed ahead to make the right goal happen. As this month comes to a close, there will be a Full Moon in Pisces illuminating your Social Networking sector. With Mercury Retrograde finally over and Mars Retrograde about to come to a close, it will be great time to launch a new social media campaign or to reach out to some new collaborators to help you take both your careers to new heights by co-creating some magic together. You may also want to check back on the effectiveness of previous promotions to determine how you could do better in the future. This may be an especially wacky month for your relationships with others, dear Aquarius. While the Sun is running through your Relationship zone, illuminating how you relate to those around you whether in life or work, so is Mercury Retrograde. Where do you find yourself in need of support in your life & career and how can you step up and ask for it? Perhaps you are also re-thinking how you would like to give your time & energy to help others and are asking yourself who the right people really are to surround yourself with in order to brighten up your days instead of bringing you down. The New Moon Solar Eclipse in Leo on the 11th will be the ideal time to make a wish for the type of relationship(s) you want to bring into your life next… whether it’s a certain type of client, the perfect lover, or even a healer you would like to have on standby for those moments when you need a specialist to turn to for a mind, body, or spirit boost. On the 7th, your ruling planet Uranus will begin to stop in the sky and move into its annual retrograde pattern in your Home, Family & Long-term Security sector. If there have been changes you’ve been wanting to make around your household or even in your plans for the future, you may find these to be a little more difficult to achieve which could result in a feeling of restlessness for a while. On top of that, action planet Mars continues moving through its even more rare retrograde in your sign for a lot of this month! It may feel like you’re swimming upstream on the quest to reach your goals, and although you are a sign that usually likes to keep things shaken up, these retrogrades will be forcing you to slow down and really think any radical changes you’ve been thinking of making through all the way through. On the bright side… and yes, there is a definite bright side to the crazy energy happening this month… there’s a Full Moon coming up in Pisces on the 27th and it will be lighting up your zone of Values, Desires & Goal Setting! It will be one of the most wonderful times of the year for you to earn more money and manifest the things you’ve been wanting, so try to make the most of it by planning a big launch and making it as easy as possible for people to hand over their cold hard cash. With all of the wacky and potentially quite anxiety-producing energy streaming through the cosmos this month, it’s a good time to get fully grounded as much as possible in the here and now. As the Sun moves through your Daily Work & Wellness sector, the way you flow through your days and tick off all of the practical tasks on your to-do list is in the spotlight. With Mercury Retrograde clashing with this quest, it’s more important than ever to take care of yourself by streamlining your workflow and prioritizing your self-care routine above all else. The New Moon Solar Eclipse in Leo on the 11th will be your call to visualize what the idea of “optimal balance” truly means for you! Meanwhile, you may be questioning a lot of things this month as Mars Retrograde continues moving in reverse through your zone of Spirituality & Deep Reflection. As a Pisces, you tend to operate best when you have a greater purpose you are working towards, so without a clear picture of your north star, you might feel a bit more untethered than usual. However, when Mars is in retrograde, it’s a better time for meditating rather than moving full speed ahead. Try not to make any major life-changing plans until the clouds clear when Mars goes direct on the 27th. The grand finale for you this month will be the Full Moon falling in your sign. While this can bring the culmination of everything you have been doing to step up as the leader of your own life and operate as your most authentic self over the past 6 months, it can also bring any remaining self-doubt or self-esteem issues to the forefront too. This is both a time of celebrating of what makes you special and a time of releasing anything that keeps you from putting yourself out there more. Don’t be tempted to hide your unique talents away – show others how much you shine!